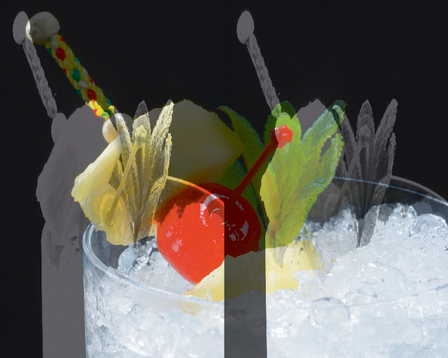 Garnishes are used to decorate cocktails and are often anchored to the rim of the glass. 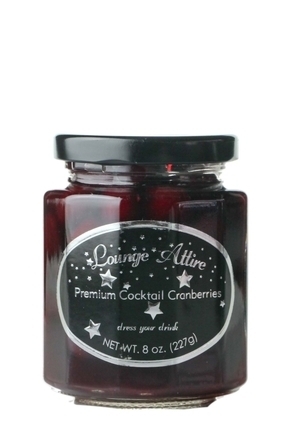 You’ll find more about garnishes and how to prepare them in the ‘Cocktail’ area of this website but here under ‘Beer, Wine & Spirits’ we have listed a number of commercially available products used for garnishing cocktails such as jarred cherries and coloured salt. 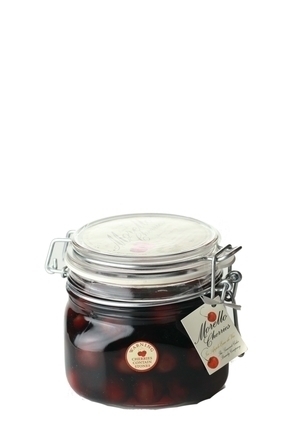 Maraschino cherries were originally fresh cherries marinated in maraschino liqueur and such cherries are still made and available from producers such as Luxardo. However, nowadays the term typically refers to preserved, sweetened cherries dyed bright red with food colouring and usually almond-flavoured. Blue and yellow dyed maraschino cherries are also available and typically the green ones are peppermint-flavoured (think green crème de menthe) while the blue ones are orange-flavoured (think blue curaçao). That said, in the US, it would appear they all have the same almond-maraschino flavour regardless of the colour. Shame. Opies stemmed maraschino cherries, as the name suggests, retain their stems to make a more attractive garnish (those with dexterous tongues can amaze their friends by tying said stems in a knot). Maraschino cherries should be refrigerated and left in their own syrup/liqueur which should be saved as it is often used in recipes such as a Sweet Manhattan. required for a particular bartending session from the jar. Olives should be refrigerated and left in the oil or brine in which they were packaged. This brine may be used in a Dirty Martini. Onions should be stored and left in the oil or brine in which they were packaged and only removed from the jar when required. Small white cocktail onions are most notably used to garnish a Gibson Martini.